When time isn’t a factor, the hardest decision homeowners face when tackling a kitchen renovation is how much money they want to spend and what they want to spend it on. From lighting to countertops, new appliances to completely redesigned kitchen cabinets with all the bells and whistles, the choices are nearly endless. This is the ideal time to call in the experts to get the job done right. 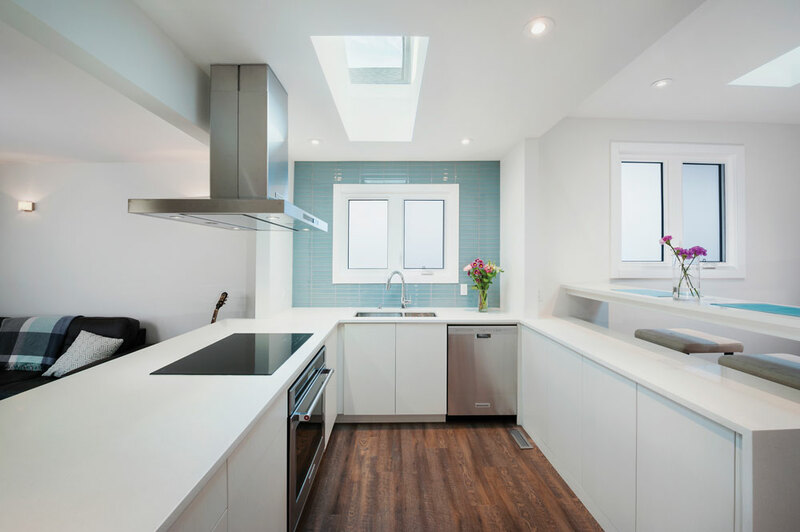 The clean lines of this kitchen renovation by Alloy Homes belie the planning that went into the update. Lemke notes that the best way to maximize that return is through good design and thoughtful planning. “The more time you can spend on thinking about how that kitchen needs to work with your lifestyle and working with somebody who really understands how you think, the better that kitchen’s going to be,” he says. 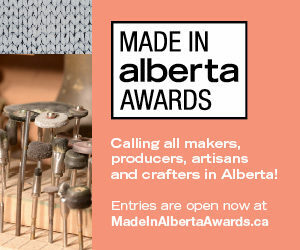 When choosing a professional for a kitchen renovation, Dawn Lavergne, 2016-2017 president of the National Kitchen and Bath Association, prairie provinces chapter, and residential designer at MKL Residential Architecture & Design, recommends that you look for someone who belongs to professional organizations. “People who have taken time to join different organizations and have taken the time to do additional certifications – those are huge things to look for,” she says. Lavergne also recommends consulting websites such as nkba.org and houzz.com. 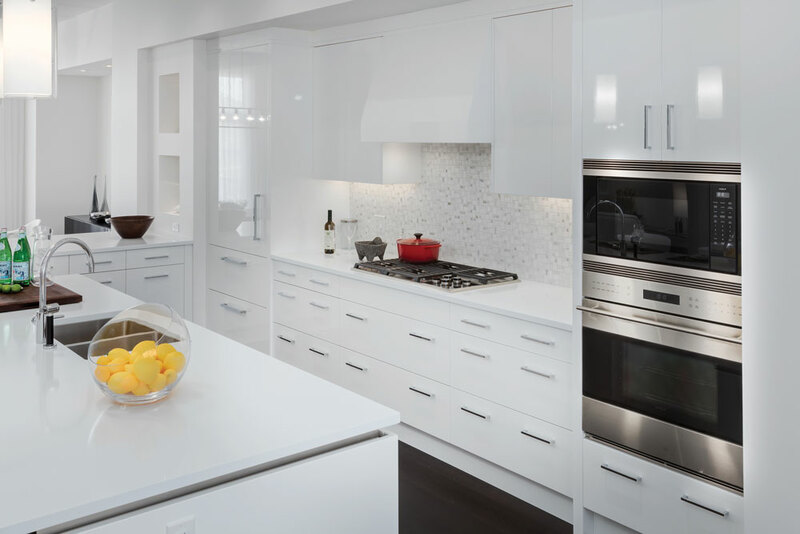 This white lacquer cabinetry by Empire Kitchen & Bath has a fresh, modern look. While mosaic and other intricate floor-tile installations are still popular with those looking to renovate their kitchens, Brody Haugrud, director at CDL Carpet & Floor Centre, says that large-format tiles are gaining popularity. 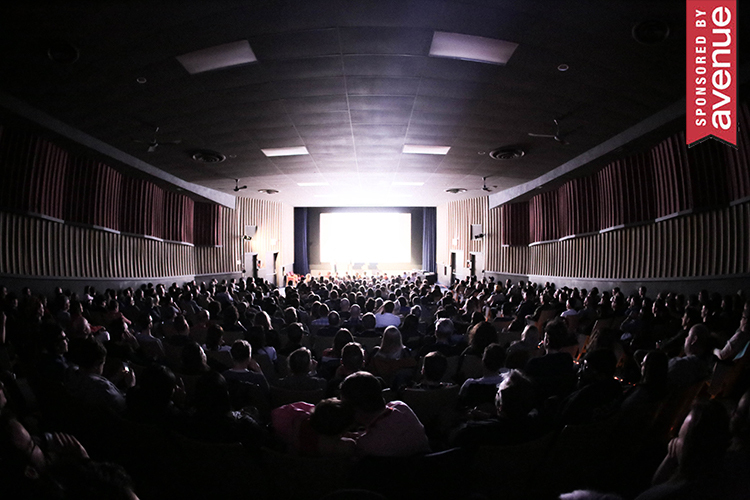 “It’s a veneer of porcelain instead of a thick slab of tile. Because it’s so thin, you can get pieces that are four feet by four feet,” he says. Haugrud adds that large-format tiles make your space feel larger because there are fewer grout lines breaking up the space. He also notes that more and more people are opting for warmer tones for both wood and tile flooring. Under-counter appliances and in-island plumbing laid the framework of this kitchen by Bellasera Kitchen Design Group. 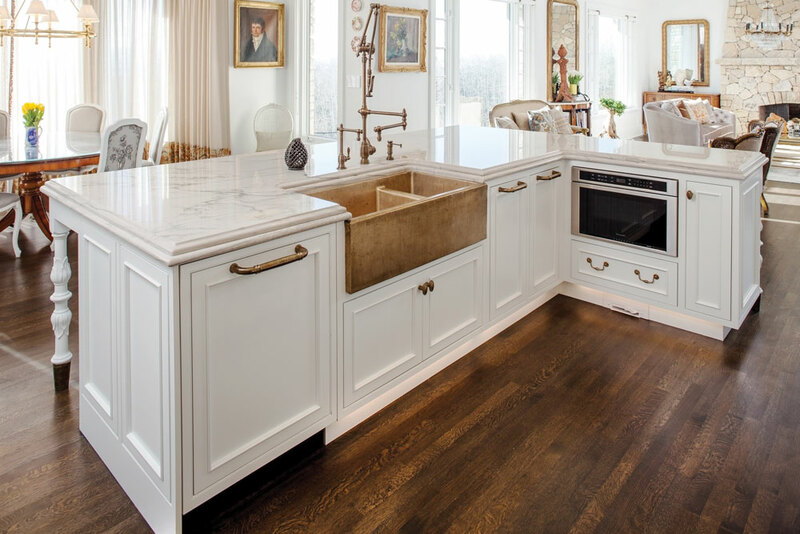 According to Jennifer Mehalko, senior contract designer at Bellasera Kitchen Design Studio and owner of Found Design Group, appliance selection is the first step in laying the framework of a new kitchen. “We can customize the cabinetry and millwork around your wish list,” she says. “But things like a sink, plumbing fixtures and appliances are fixed dimensions. Mehalko says the biggest trends in appliances are steam and speed ovens. “I’ve seen more clients in the past years moving away from microwaves and instead going with a steam or speed oven,” she says. The other big trend she has noticed is under-counter refrigeration, which she says adds efficiency and productivity. A kitchen with two refrigerators means that parents can be cooking in their own space while kids are prepping snacks in their own space – no traffic jams. The key to creating a fully functional space is to consider organization options from the start of your kitchen reno. Susan Pilon, design/sales consultant at Legacy Kitchens, says that in recent years storage options have become more accessible because there is more to choose from in the market. 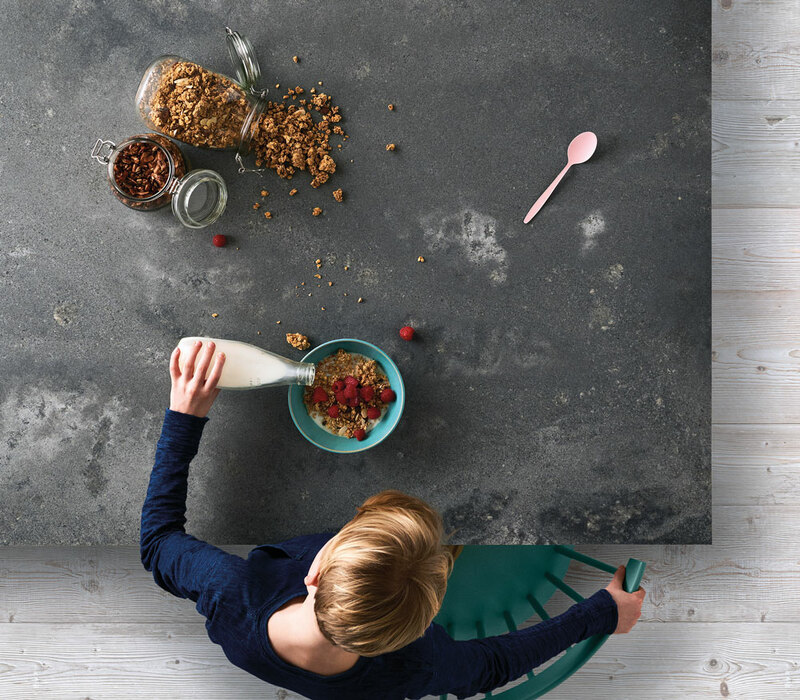 Rugged concrete by Caesarstone provides the look of concrete with the durability of quartz.